The TG-X 50 capsule was taken from the TG-X 80 handheld vocal microphone. The same capsule shows up in the Opus 99, M 99 TG, and Opus 65. The mic had no output transformer or other circuitry of any kind. The schematic shows a hum-compensation coil, but this is built into the capsule itself. The mic shipped with a mic clip (p/n MKV 8) and a padded vinyl storage pouch. Around the year 2000, the TG-X 50 was relaunched as the TG-X 50 Mk II. The new microphone retained the body and capsule of the original, but introduced a tailored frequency response designed for kick drums. The TG-X 50 is not a mic for positioning inside the bass drum close to the batter head. The close-miked track sounded boxy and even mildly distorted, with a surfeit of attack… and not much oomph to back it up. Resonance was restored, though, with the mic positioned farther from the head; still, the sound was thin compared to that of the “tailored” mics. 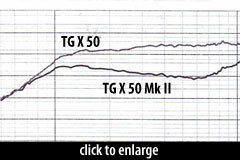 [T]he TG-X 50 sounded similar to the Audix D4… however, the TG-X 50 had consistently better transient response, was noticeably more dimensional, and generally sounded bigger. 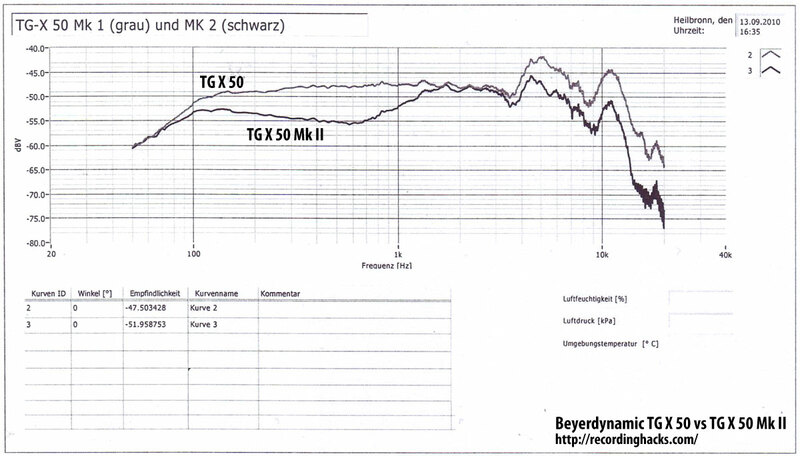 The beyerdynamic TG-X 50 is also known as: TGX-50.